This is what our living room looked like for Christmas last year. It was similar to the year before but with a few new additions, including a brand new baby sleeping soundly on the other end of that couch! This year we'll be in a new house and I'm already starting to imagine where our Christmas tree will fit and how many new wreaths I may need to make to hang in extra doors. We found out that the rental we wanted is ours after we sign the lease this week and I couldn't be happier! I'm itching to go back over to measure windows so I can start making curtains and to be reminded about how big each room is so I can start looking for a new kitchen table, etc. While I'm occupied with packing and unpacking I've invited some lovely bloggers to share their holiday inspiration with Smile And Wave readers! The theme is 'Home for the Holidays' and will include holiday home decor, DIY's, special family traditions, fun packaging ideas, and lots of Christmas magic! The festivities start November 29th so mark your calendar! I can't wait! looking forward to everything you shared :) I LOVE the pink btw! Looking forward to lots of inspiration at the end of November! LOVE those little pink Christmas trees! I'm a new reader of your blog and I am super excited about the Christmasy posts. I will be checking regularly of course! Congratulations on the new home, how exciting! It must be great! I just completed a move of my own, though it was from one small place to another. I'd love to say the work of packing was done, but now is when I think the hard work will really begin, where to put all my stuff!!! i need lots of holiday decorating ideas. my husband loves the holidays and i'm kind of a grinch... and i want to surprise when he comes home from work one day! i'm excited for the posts! Congrats on your rental Rachel! We are going to be doing the same thing this year as we just got our first home this past spring! All new rooms to decorate for Christmas and beyond. I can't wait to see what you do both for the holidays and your new place! Congrats on your new home! 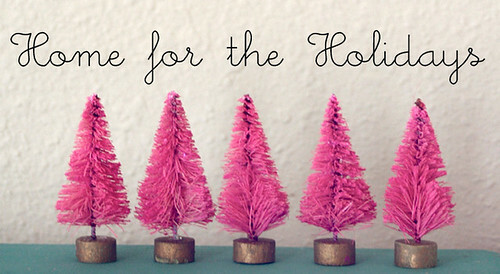 I'm looking forward to "home for the holidays" and those pink tree are just so cute! Cant wait to see the photos after you've settled in. Congratulations on your new home and im really excited for "home for the holidays"
yay!! We also *just* signed a lease last night for a place that has EVERYTHING and more than we wanted, too and we get the keys next week! It's such a fun feeling getting to redecorate with a clean slate. Love the way you decorated for Christmas last year...love the curtain and tree...nice job! oh, congrats! 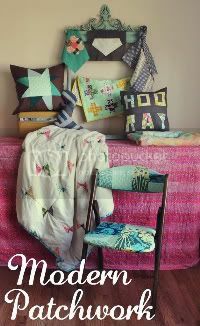 it will be so fun to decorate a new place. I'm SOOO excited! Rachel, you're getting me all revved up for the holiday season. And now that the semester is winding down, hopefully I'll have time to work on the Home Ec projects that have sadly been neglected since the summer! I LOVE your white tree! 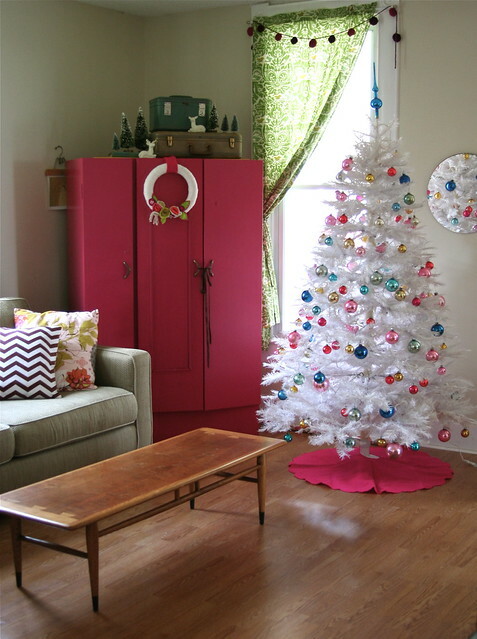 I hadn't thought about using a white tree until I saw this picture - the look is so great! So retro! Thanks for the inspiration. And congrats on the new place! I love the energy that comes with living in a new space and letting your imagination run wild. congratulations on getting your rental! it is always so exciting planning and decorating a new space. can't wait for the holiday posts! Congrats on the new place! Love the vintage ornaments. I've scored quite the collection of Shiny Brites this year, I'm so excited to decorate with them! Wow, I love your hot pink bureau! How fun! I love decorating a new house! Just in time for the holidays too! How exciting!! I just adore Christmas & all the festivities that go along with it. 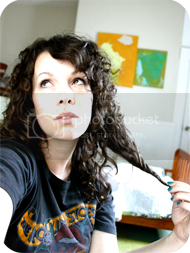 I found your blog and it is cute! 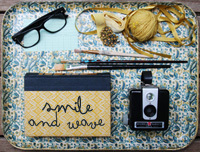 I have a baby too and love crafty things. I am keeping my eye open for a white christmas tree this year. Can't wait to see the guest posts for christmas ideas. Thanks! I found a four foot one at Wal-mart for pretty cheap, but I was thinking I wanted one a bit taller. Please let me know where you found yours! :D! what a lovely tree!! 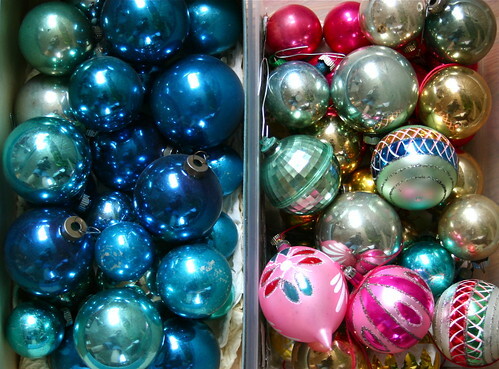 we use pinks and turquoises for our tree too, but always get a real one because the smell of a real tree is just so nostalgic for me. good luck with all of the packing! how exciting to be moving into a new place!